I came across your site while researching ideas, and wanted to send one of my creations! 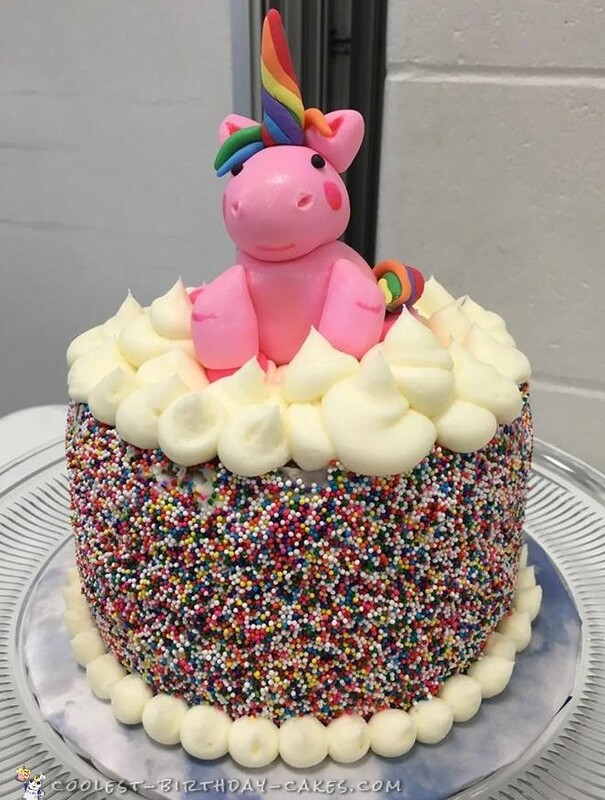 My daughter requested a rainbow unicorn sprinkle cake for her 4th birthday party. Ask and you shall receive on your special day! I made the unicorn out of fondant, and rolled the cake in rainbow sprinkles. The unicorn was an intricate process, as I had to color each piece. I then brushed the unicorn with edible gold dust. The cake was a homemade white chocolate sprinkle cake, with homemade buttercream frosting. I love being able to put together an idea and make it into a cake! My daughter watched me put the unicorn on top of the frosting clouds, and was in awe. 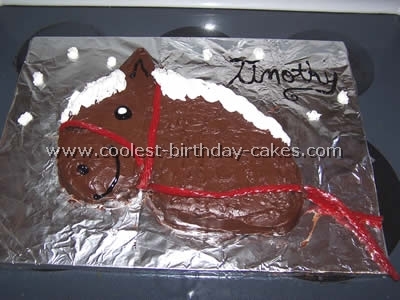 I had rainbow sprinkle cupcakes to go with the cake. And absolutely no leftovers!